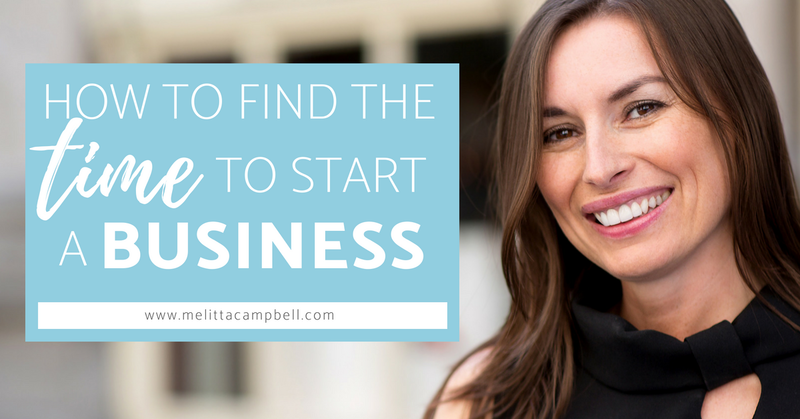 I’ve seen a lot of aspiring entrepreneurs hold back from starting their own business. The reason? They fear they don’t have enough time to invest in its success. If this is your issue too – you’re in the right place! Here is how you can find the time to create and launch a business you love. First things first – how much time do you need? They have vastly overestimated how much time is needed. Do you know how much time you need? The first step in finding the time for your business is to know how much time you need. Do your homework and find out and you may well be pleasantly surprised. Many people think you need to work around the clock to be a successful business owner, but there are a great many businesses you can start with as little as 10-15 hours a week. The best part is that if you have started the right business for you, the majority of your time will be spent doing work that you love – so this time doesn’t even feel like work! It’s rare that you’ll be starting a business that has never been done before, especially if this is your first business. Maybe your topic or approach might be new, but your core business model probably won’t be. If you’re planning to start a business selling online courses and information products, for example, seek out a handful of successful people who have already done this. Then speak to them about how they plan and manage their business. If you don’t already have people in your network that you can ask, you can find them in places like LinkedIn and Facebook. Or why not put the question to Quora.com and let the experts come to you? Here’s one to start you off. For the last 10 years, I’ve averaged about 20 hours a week in my business. If I’m working on launching a new product or training offer, I may put in some more time, and if it’s school holidays, I’ll put in less. That’s the beauty of being your own boss – you decide how much time you put in and when. If you work smart and focus on your core activities, you can create a lot of value in the marketplace in a small amount of time. I’m often asked how I manage to get so much done – especially when people discover I only work very part-time. The trick is to stay focused and work smart. I haven’t always worked this way. As my first business grew, I reached a point where I became overwhelmed and came close to burn out (you can read more about that here...). Hard as that experience was, it taught me some important lessons in balance and productivity. The big secret here is planning and prioritisation. I break down everything I want to get done, then ask myself: “Which of these is going to have the most impact on my overall objectives?”, the answer to this question then tells me quite clearly what I need to focus on next. I also challenge myself throughout the day asking “Is what I’m doing right now taking me closer to my goals?”. This helps me to stay focused and avoid getting distracted (or a least not for too long). Staying focused is hard when you work alone, but I’ve used the Pomodoro technique to help train myself. Here’s how it works: you decide on a task you want to work on or complete, then you give yourself just 25 minutes to get it done; set the timer on your phone to alert you when your time is up. When the alert goes off, you stop and move on – ideally taking a short break to do something different first. Often 25 minutes isn’t enough time to finish your task, and that’s OK. The idea of the Pomodoro technique is to train yourself to focus, and teach you how long certain activities take to complete so you can plan your schedule realistically. Knowing it takes you 5 x 25 minutes to write, edit and publish a blog post, for example, allows you to schedule enough time to get the work done. Underestimating the time activities take is a sure way to add stress to your days. Plan your day the night before, so you wake up focused. Remove anything unnecessary from your schedule, such as events you don’t enjoy or jobs that don’t help you get to where you’re going in life or business. Take time out to relax and refresh – it sounds counterintuitive, but it works! Stay inspired. Regularly read self-development books to stay informed, inspired and equip with the latest tools and tips. Get yourself a mentor, coach or accountability partner. Their regular input, encouragement and challenge will help you stay focused and productive. Find a planning and tracking system that works for you. There’s no right or wrong system, it depends on your own preferences. Perhaps a diary or bullet journal will help you, or maybe you prefer online tools such as Trello or Asana. Or it could be an old-school paper tracking system that works. My best tip for getting more done in less time is to get more clarity into your business, and your days. If you have a clear vision, backed by motivating goals, then you’ll be amazing at just how much you can achieve. So give yourself time to try, test and learn how to be the person you need to be, in order to achieve the success you desire. To have the persistence you need to stay in the game long enough to win, you need clarity of vision. In fact, this is so important that gaining clarity of vision and purpose forms the start point in all my business success programs. So when you start your business, make sure you don’t skip this stage – it’s rocket fuel you need to get to where you’re heading. What would a successful business mean for you? In this blog series, I’m helping you understand how to overcome many of the biggest fears holding you back from the business and life you desire. But what would the perfect business mean for you? More freedom to spend your time on the things that are most important to you? A chance to enjoy meaningful work? The opportunity to grow and achieve your real potential? Whatever your reasons, the reason I am in business is to help you succeed! Though my business coaching and online programs, my goal is to work alongside you as you create a business you love. I help you learn the skills you need for lasting success, and develop a solid plan so you always know what step to take next. In fact, all the support you need on your journey towards the fulfillment and freedom you desire and deserve. With my Business Blueprint to More Dream Clients program, for example, you can go from feeling lost to having a profitable business in just 90-days! It’s time to stop dreaming, and start doing! Contact me today to book your free 30-minute discovery call and get your business off the starting blocks! It certainly does! Thanks Joseph. I’ve probably never valued time as much as I do now – ever since I started my own blog alongside my regular job. These are great tips and I’m definitely going to try them out. You made a good balance in informing people setting up new businesses. While it is very prominent to prepare infrastructure, you pointed on the importance of retreat of ourselves: relax and meditate. With that, inspiration will flow. I agree..
That’s great that you’ve found a form of meditation that works for you Tracy. There are so many different kinds – but really it’s all about finding a way to give your mind rest and some space to think clearly about the best path forward. Thanks for sharing your experience, I’m so glad you enjoyed the article. Great tips here! What I found hard was how much time I thought I needed before starting a blog compared to how much time I really need to blog! This was a shock to me. I thought it wouldn’t take to much time. Most of my time goes to promotion and technical issues that I do not know really well rather than content. Oh well I guess you learn the hard way. I will however use your tips on planning! Thank you for this detailed post. That’s very true – lots of the things you think won’t take long take hours! Then other things you think will take hours can be done a lot faster. That’s why I like the Pomodoro technique, you learn how much time things really take (when you are focused) so that you can then go and create more realistic plans. Good luck with your blog! I’ve successfully started 4 businesses to date, all of which are still running. I think starting your own business can be extremely fulfilling, and a lot of my friends always tell me that they wish they could do what I’m doing too. However, I think a lot of them underestimate how much time is involved and commitment! Also, the ones that do start, tend to give up after a few hurdles or setbacks. I think it’s so important to not get setbacks stop you. Consistency, daring, patience and resilience are the secrets in my opinion! That’s very true Jojo! I’ve seen a lot of people quit too soon too, but if you start your business with the right mindset and clarity of vision, you can enjoy a very different experience. Thanks for sharing your experiences, and congratulations on all your success!